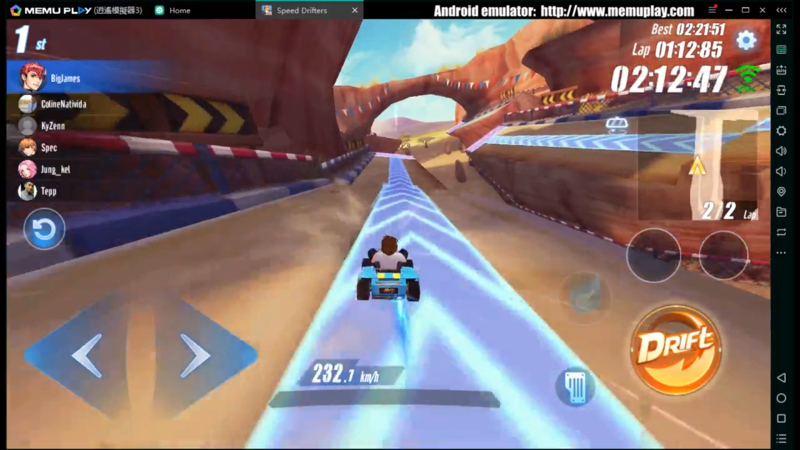 MEmu Android Emulator helps you to play Garena Speed Drifters on PC.Drift your way to victory in 3 minutes! Buckle up and grab your friends to race together in all the different modes in the game! Race anyone, anywhere, anytime! 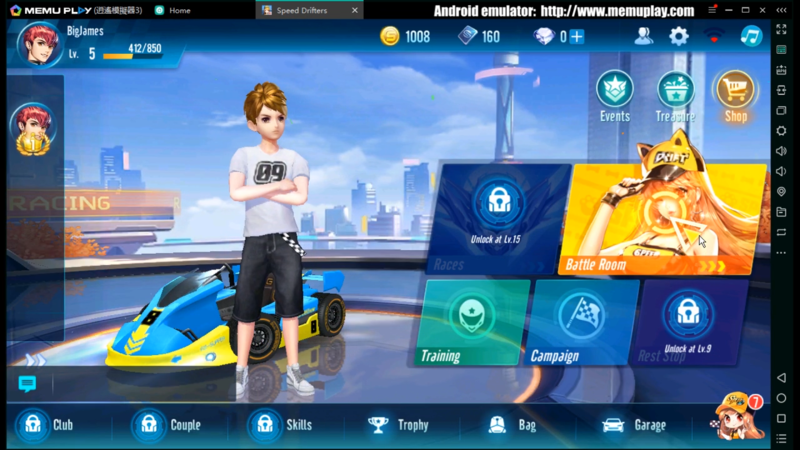 Here is the guide to teach you how to play Garena Speed Drifters on PC with MEmu App Player. 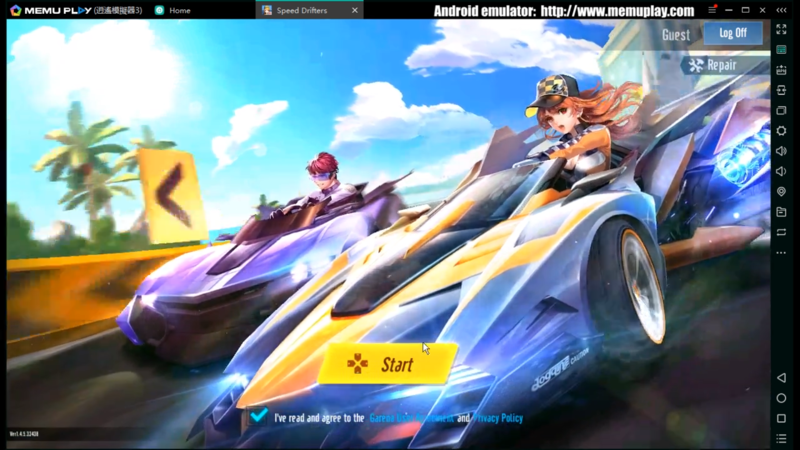 We highly recommend playing Garena Speed Drifters on PC using MEmu Android emulator. If you haven’t downloaded already, please install it here. Then you can download Garena Speed Drifters from Google Play. Alternatively, if you would like to directly install the APK offline file, you can download it from third party download sites like Apkpure. 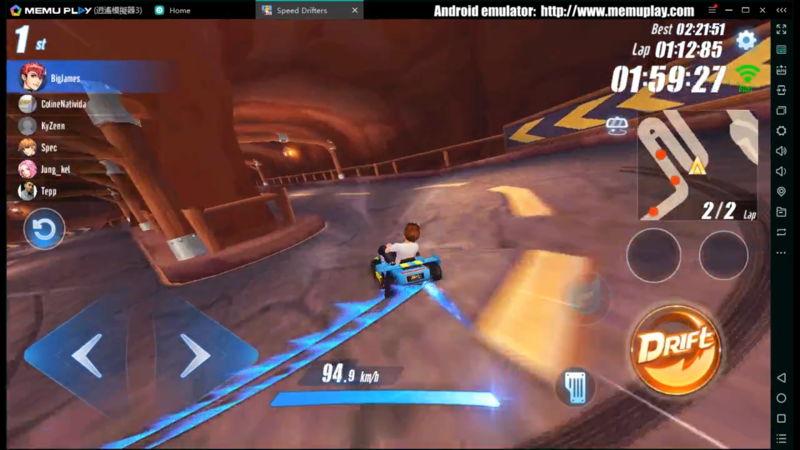 Install Garena Speed Drifters from Google Play in MEmu Android Emulator is straight-forward. 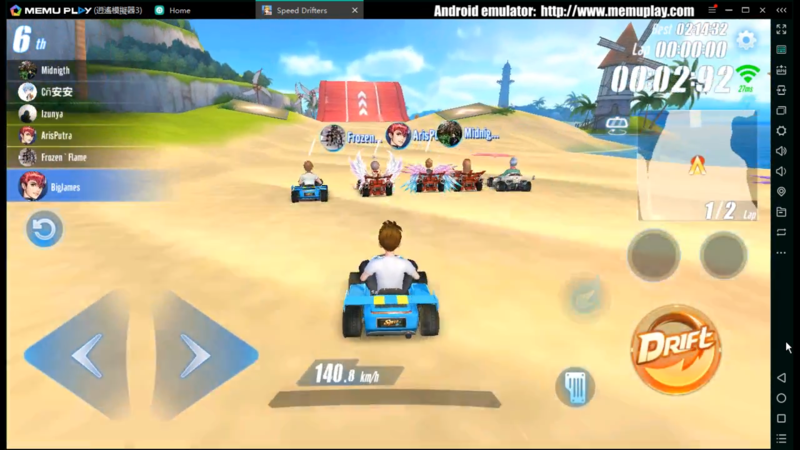 Alternatively, you can also click APK button on MEmu side toolbar to install Garena Speed Drifters APK offline file on your PC pretty easy. Once installed,Garena Speed Drifters icon will show up on MEmu home screen. Simply click the icon to launch this game then it and the then it begins to download game resources. Finally you will able to play Garena Speed Drifters on your computer! Item mode – Dash ahead of your opponents using unique items! Sabotage your enemies and meet them at the finish line. Available in both solo and team modes.